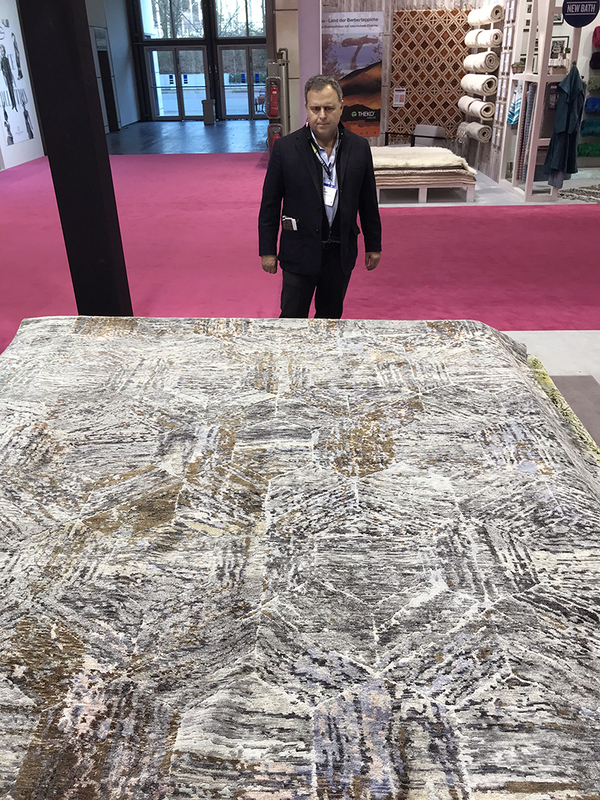 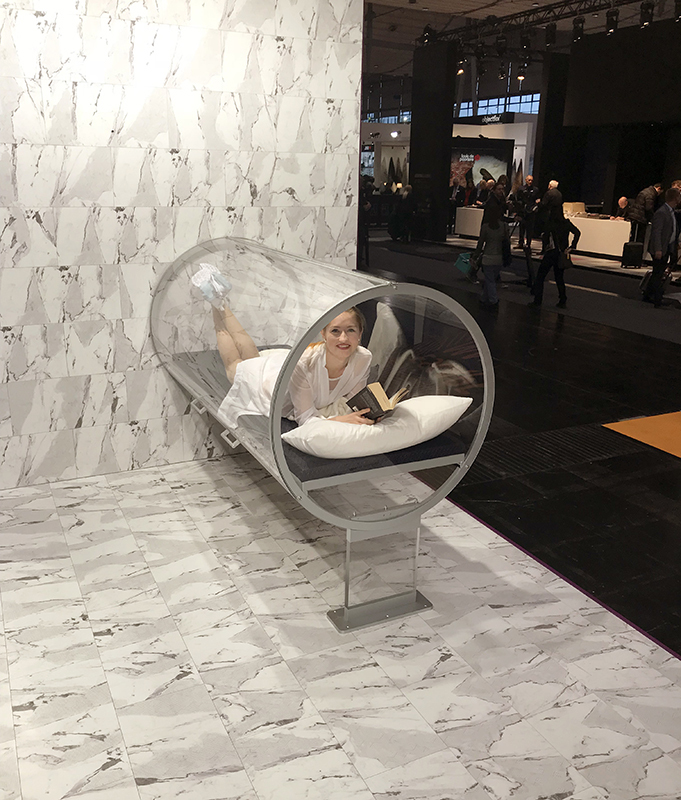 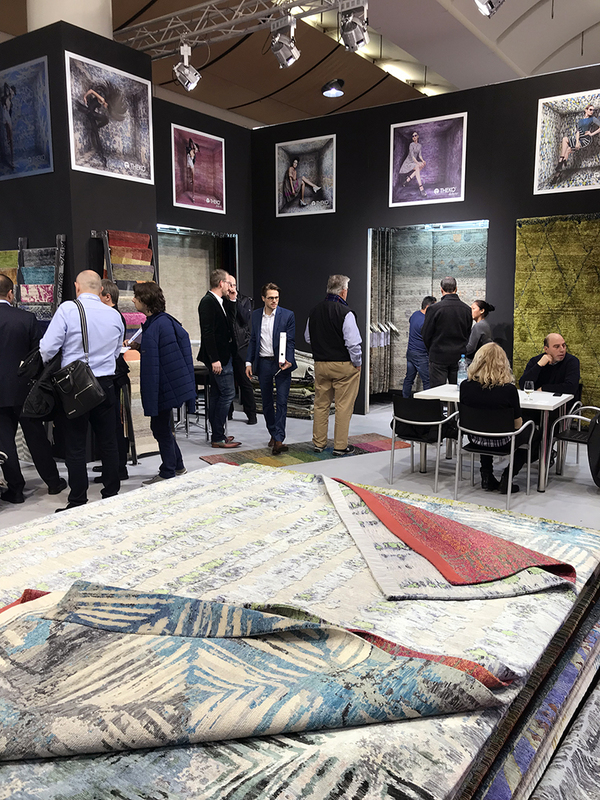 Freshly home from a whirlwind trip to Hannover, Germany for DOMOTEX 2018 (Jan. 12-15), Oscar and I not only are energized by the new creativity we found, but also excited to share the most inspiring and relevant luxury designs available from around the globe. 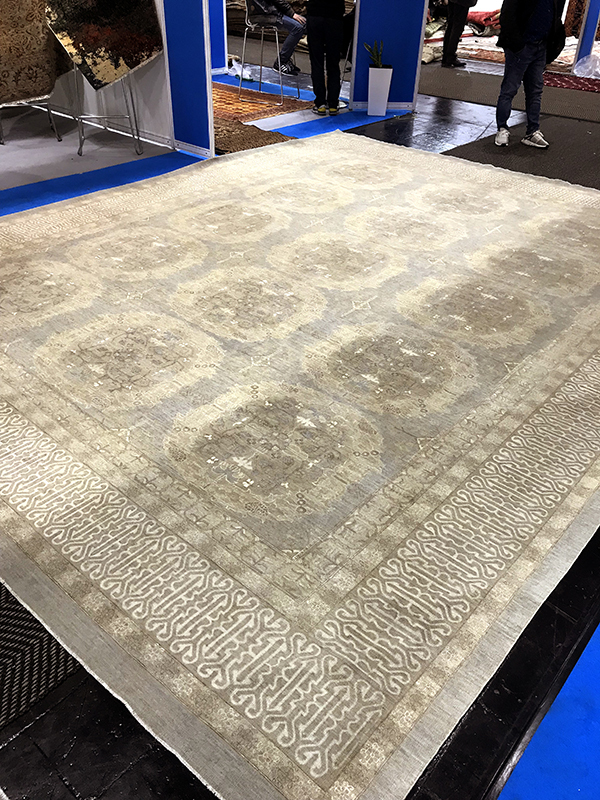 People have been begging to see more color and we did see a full range of fresh hues, but the truth is that new designs in the market are still heavily weighted toward grays and blues, two of the most dominant tones currently asked for by our customers. 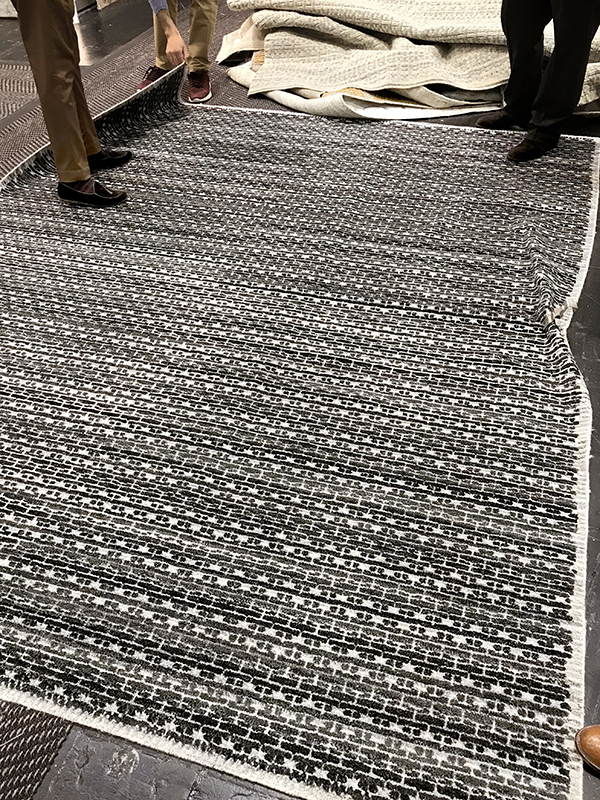 In an interesting twist, black seems to be creeping back. 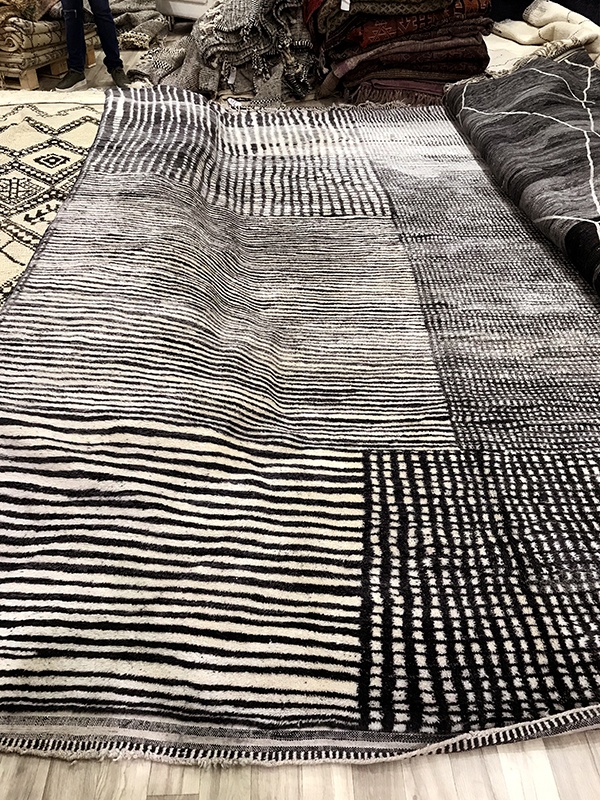 We saw at least one new black rug added to new collections across the board. 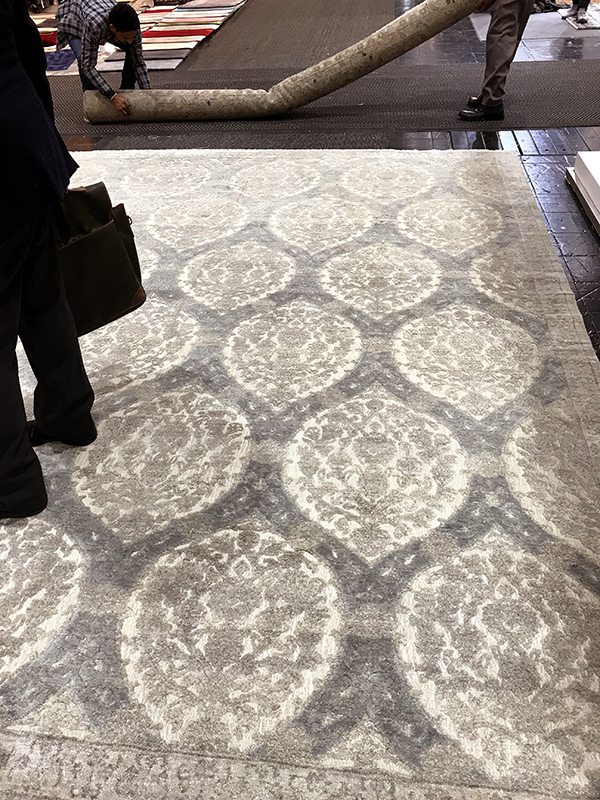 On the texture front, we did pick up a beautiful line of rugs made of natural, undyed wool, some of which we customized with subtle touches of color. 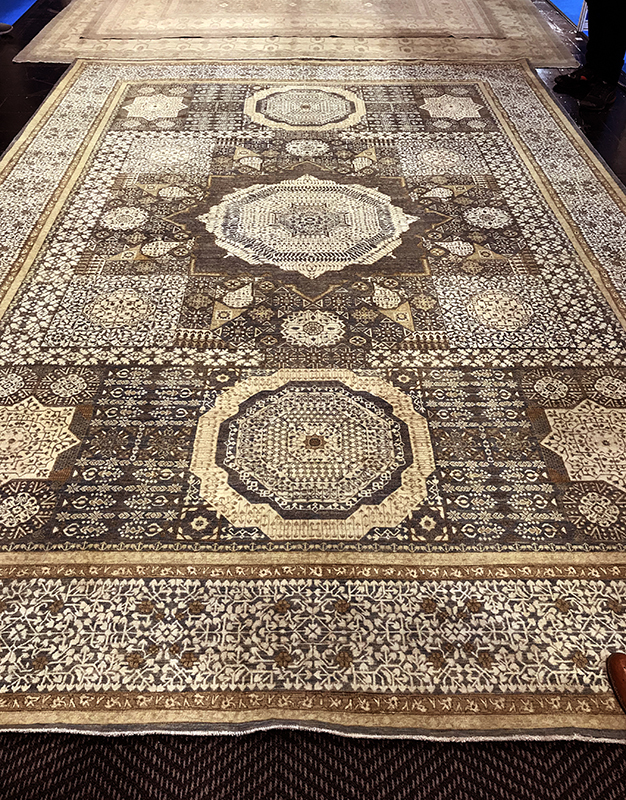 We’re really excited about these new pieces. 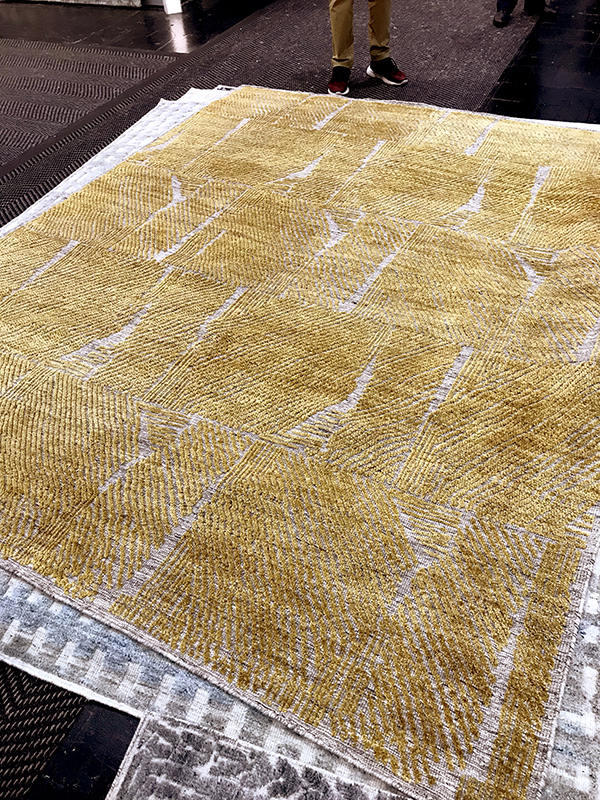 Natural, undyed wool lends an organic unique texture to the finish of a rug and when you add soft pops of color to the mix, the finished product is infinitely versatile and fresh. 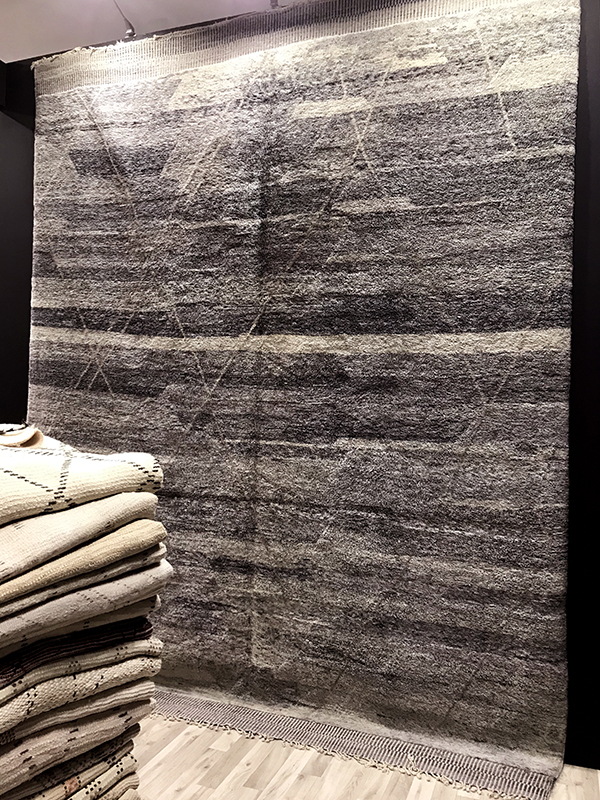 We hope you agree when you see them in our showrooms. 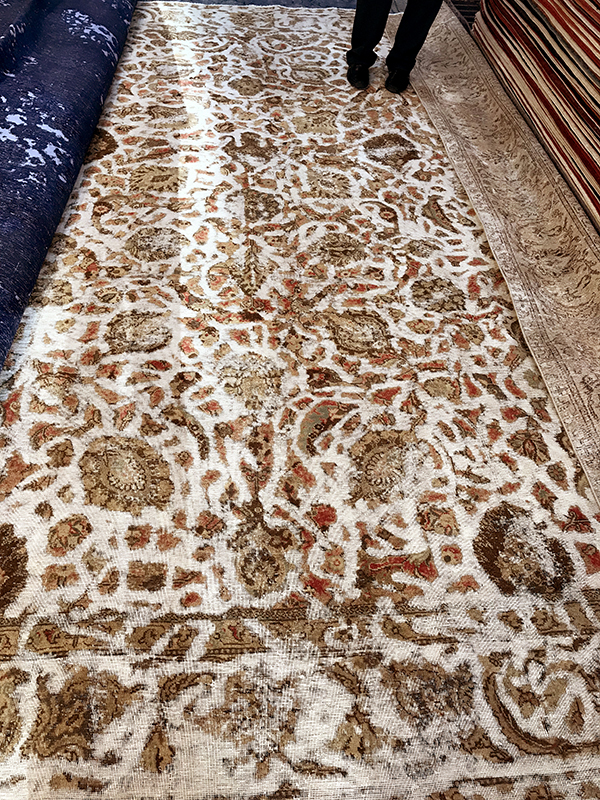 We’re also thrilled about an ultra-fine collection of elegant Afghani designs we discovered with pale palettes. 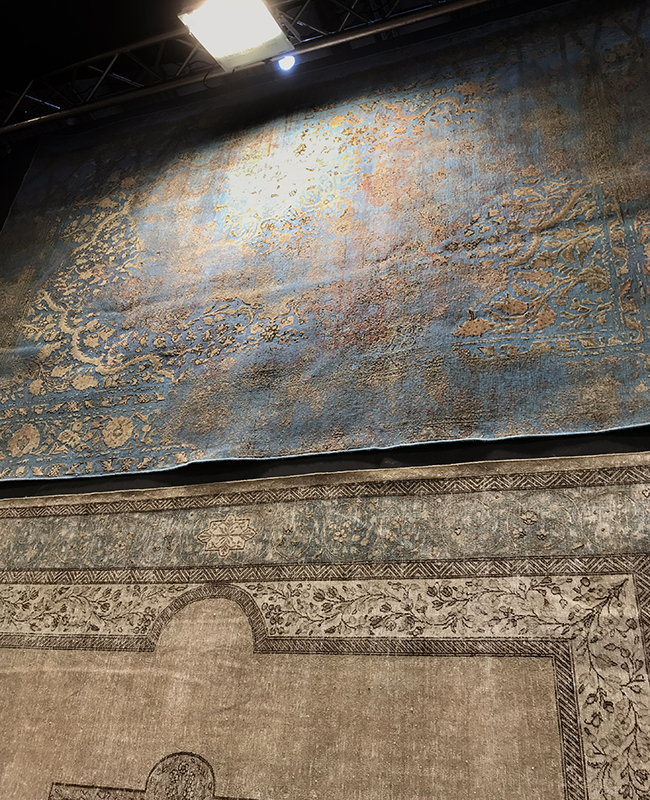 These are exemplary hand-knotted pieces, showcasing the quality and refinement that continues to be available in Afghan-made, high-end rugs. 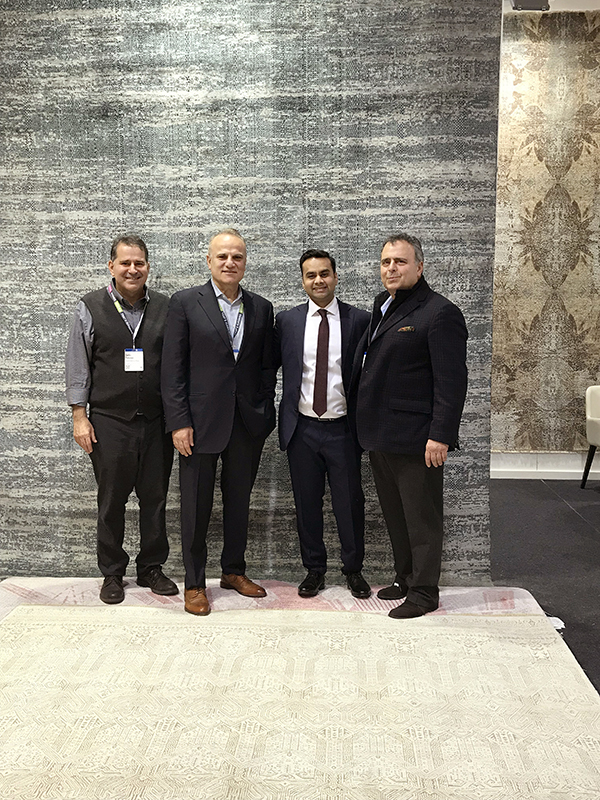 Perhaps the most intriguing news was the announcement by show organizers of the debut of DOMOTEX USA, launching Feb. 28 to March 2, 2019 at the Georgia World Congress Center in Atlanta, Georgia. 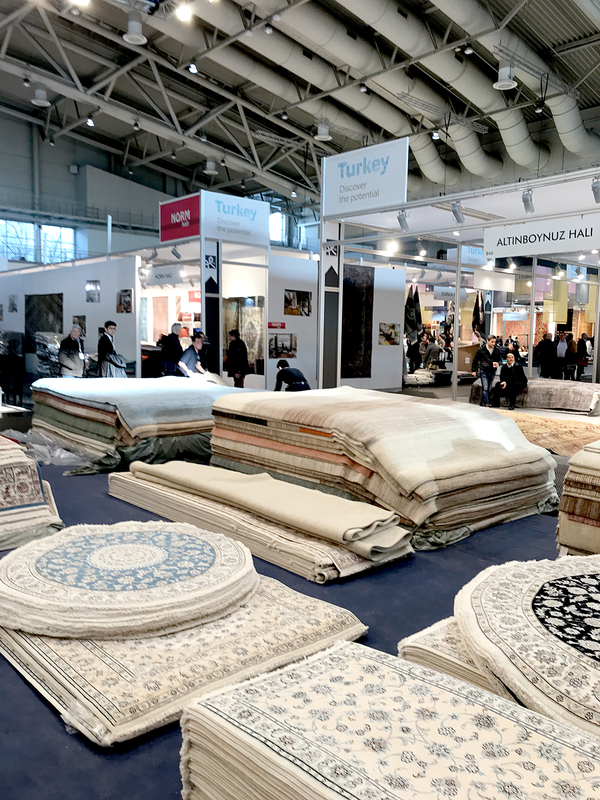 The focus of the U.S. fair will be carpets and floor coverings for the North American residential property market. 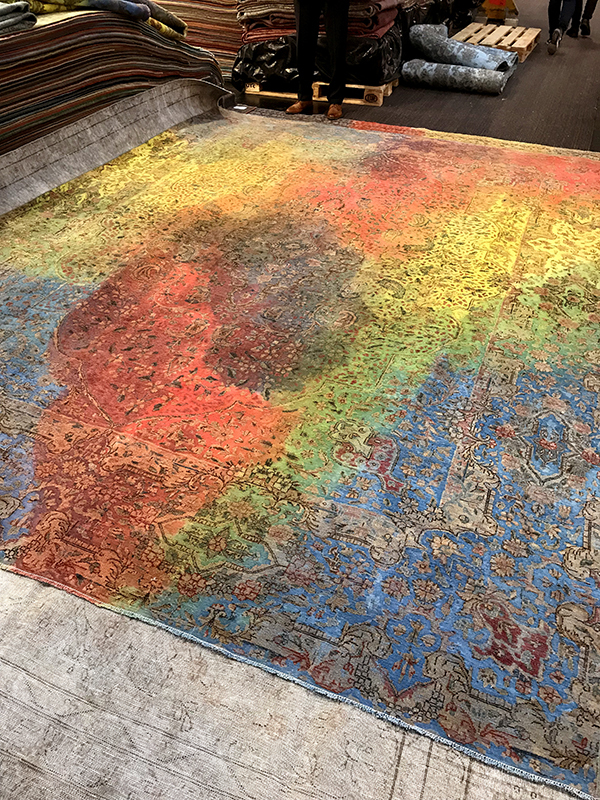 We’ll be sure to check it out and let you know our thoughts!